FCC Plans Net Neutrality Rollback For June 11; Senate Democrats Plan A Key Challenge : The Two-Way In the Senate, a resolution of disapproval of the FCC rule has the support of every member of the Democratic caucus, along with Maine Republican Susan Collins. "The Internet wasn't broken in 2015," FCC Chairman Ajit Pai says, referring to the year when net neutrality rules were adopted. Pai is seen here speaking to the House Appropriations Committee earlier this year. The Federal Communications Commission says that its order ending an era of "net neutrality" — the rules that restrict Internet service providers' ability to slow down or speed up users' access to specific websites and apps — will take effect on June 11. That is one day before the Senate's June 12 deadline to vote on a Congressional Review Act resolution filed by Sen. Edward Markey, D-Mass. The resolution aims to overturn the FCC's repeal of the Obama administration's Open Internet Order of 2015, which officially established net neutrality. Formally called a resolution of disapproval, the CRA has the support of every member of the Democratic caucus in the Senate, along with Sen. Susan Collins, R-Maine. It also has the support of Tim Berners-Lee, the father of the Web, and a number of businesses and organizations, from Reddit and Tumblr to Wikimedia. To force action on Markey's CRA, Senate Democrats filed a discharge petition on Wednesday, setting up a vote that Markey says should take place next week. Democrats say they easily have the 30 votes needed to send the CRA to the Senate floor. Once there, the caucus would need a simple majority to adopt the resolution — and with Collins, it has 50 votes. Republicans might be able to muster only 49 votes because of the absence of Sen. John McCain (who has not cast a vote since early December because of health concerns). If it gets Senate approval, the CRA would then need to pass the House — and to be signed by President Trump. The president has already signed more than a dozen CRAs, but those were aimed at doing their more common work, of reversing the work of a previous administration. When White House press secretary Sarah Sanders was asked about this CRA's prospects at Wednesday's briefing, she answered, "We'll keep you posted when we have a specific policy announcement on that front." Net neutrality's repeal has stirred passions and controversy, as proponents warn of an impending era of online content being blocked, slowed down or otherwise discriminated against, under the FCC's planned changes. Ending net neutrality, they say, could also force consumers to pay more for slower Internet service. The FCC's move has also sparked legal challenges. In February, a coalition of 23 attorneys general filed a lawsuit to block the rollback of net neutrality. After the FCC set the June date for the policy change, acting New York Attorney General Barbara Underwood issued a statement saying in part, "A free and open internet is critical to New York, and to our democracy. The repeal of net neutrality would allow internet service providers to put their profits before the consumers they serve and control what we see, do, and say online." The FCC adopted its Restoring Internet Freedom Order in December. Today, Chairman Ajit Pai, part of the Republican majority, said the new policy would end "the heavy-handed, utility-style regulation from 1934 of broadband Internet access service." 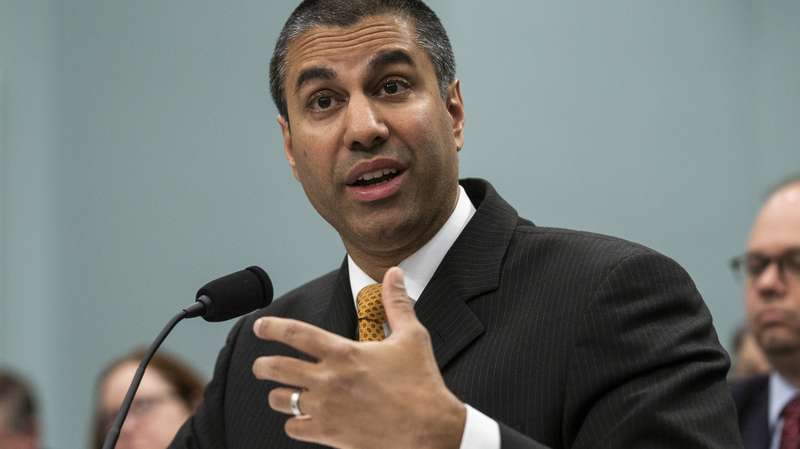 "The Internet wasn't broken in 2015, when the prior FCC buckled to political pressure and imposed heavy-handed Title II rules on the Internet economy," Pai said in a statement Thursday. "It doesn't make sense to apply outdated rules from 1934 to the Internet, but that's exactly what the prior Administration did." After the announcement, one of Pai's FCC colleagues spoke out against the move. "This is shameful," Commissioner Jessica Rosenworcel, who's in the Democratic minority, said on Twitter. In a statement, she said, "The agency failed to listen to the American public and gave short shrift to their deeply held believe that internet openness should remain the law of the land."